Schedule, Results and #Poker Rankings for major festivals, local tournaments, even home games! The way we see it, everyone deserves to be a Hero. Take control of your profile, connect with your favorite players. Endorse your friends. A #Social Hub for sharing on Twitter, Facebook, and much more! If you work in poker, join us! Display your CV, make new connections, and browse job offers. Achieve your goals with RankingHero. We rank all of poker, from the highest buy in to your home game! We have spent two years perfecting the database to provide you the most accurate poker rankings. Find it One search bar for everything, auto-suggestion and correction. Tweak it Powerful filters, find YOUR tournament. 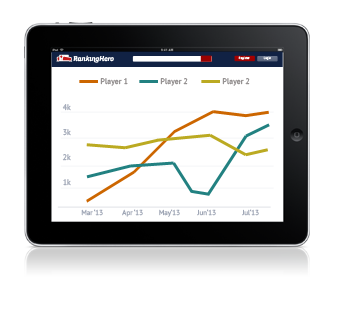 See it Compare players on our zoomable graph. Take control of your profile and manage your E‑reputation. Follow and connect with the people that matter. Explore discover and post on all your social networks in one click. organisation stand out thanks to RankingHero. RKH is created by the community. Our collaborative tools let everyone participate. Our data is accurate and extensive, thanks to you! Bruno Fitoussi in the Poker Hall of Fame Shortlist for 3rd Consecutive Year! Cash Game Festival Coming to an iPoker Room Near You! The RankingHero Cash Game Festival Line-Up: May the Best Killer Move Win!  RankingHero is a rankings and social networking site for the poker community. 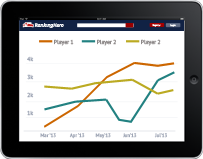 Pro players can use RankingHero to manage their e-reputation and keep in touch with their fan base. Event organizers can make their tournaments known to a huge and qualified audience. And for the poker fans, it is the place to be for the latest news and results of their favourite players. Our goal is to provide the largest and most accurate live poker data coupled with intuitive and user-friendly ways to link players, pros and fans in the poker world.